The ENFJ personality type is nicknamed the "Mentor" and belongs to the NF Visionary temperament. ENFJs are driven by their desire to help others reach their fullest potential. They are affectionate, charismatic and deeply caring. ENFJs feel called to enrich the world with their altruistic contributions. They are often called upon to help others in times of need. ENFJs direct their energy outward. They are gregarious, talkative and assertive. They love people and social gatherings. They are energized by interaction, are expressive and enthusiastic. Mentors are Intuitive. They are imaginative and deep. Their thought process is abstract and focused on possibilities. They are idealistic and complex people. ENFJs are Feelers that make decisions with their heart. They are passionate and profoundly empathetic, caring and warm. ENFJs are decisive, organized and structured. They like to complete tasks and they seek closure. They often plan ahead. ENFJs can often be described with these words. They commonly posess the following strengths and weaknesses. 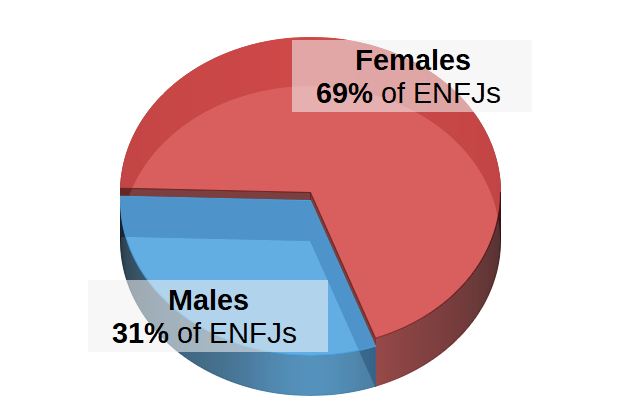 The ENFJ's Preferences are Extraversion, Intuition, Feeling and Judging. These determine the ENFJ's Personality Type. 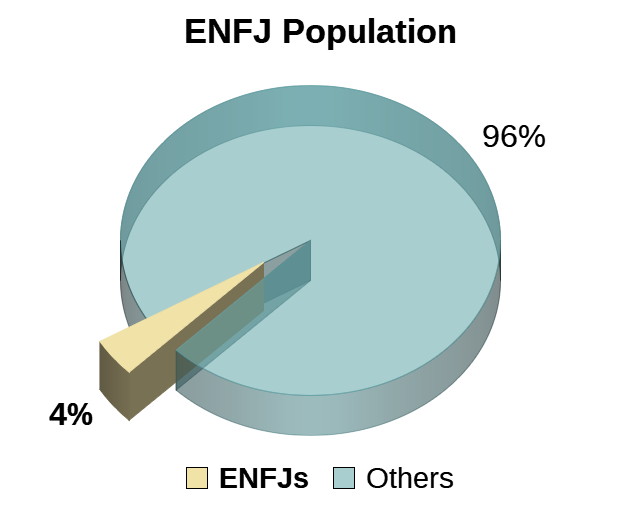 Extraversion is characterized by a preference to focus on the world outside the self. ENFJs are energized by social gatherings, parties and group activities. Extraverts are usually enthusiastic, gregarious and animated. Their communication style is verbal and assertive. As Extraverts, ENFJs often need to talk. They enjoy the limelight. As Feeling people, ENFJs are subjective. They make decisions based on their principles and values. They are ruled by their heart instead of their head. ENFJs judge situations and others based on their feelings and extenuating circumstances. They seek to please others and want to be appreciated. They value harmony and empathy. People with Intuition live in the future. They are immersed in the world of possibilities. They process information through patterns and impressions. As Intuitives, ENFJs value inspiration and imagination. They gather knowledge by reading between the lines. Their abstract nature attracts them toward deep ideas, concepts and metaphors. As Judging people, ENFJs think sequentially. They value order and organization. Their lives are scheduled and structured. ENFJs seek closure and enjoy completing tasks. They take deadlines seriously. They work then they play. The Judging preference does not mean judgmental. Judging refers to how a day-to-day activities at dealt with. Every person engages the world through four Cognitive Functions. 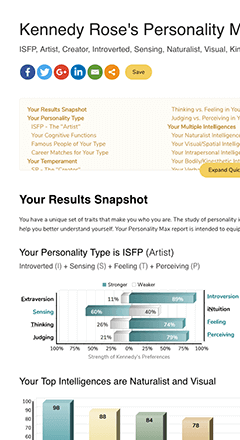 The ENFJ's primary function is Extraverted Feeling and secondary is Introverted Intuition. ENFJs use this function most often. When Feeling (F), ENFJs make decisions based on feelings. The Extraverted Feeling function allows ENFJs to tune their behavior to the needs of others. Is it the ability to relate and the desire to connect with others with warmth and consideration as well as draw others out and responds to expressed or unexpressed needs. ENFJs use of this function is somewhat high. With Intuition (N), ENFJs process data through impressions, possibilities and meanings. Introverted Intuition enables Mentors to have a sense about the future. It is the ability to grasp a pattern or plan. Information that is hard to understand and dissect is more easily processed through Introverted Intuition. ENFJs use this function but to a lesser degree. Through Sensing (S), ENFJs process data with their five senses. The Extraverted Sensing function allows them to process life through their experiences. It is being aware of what is seen, smelled, touched, heard and tasted. It is being energized by experience and living "in the moment." ENFJs use this function least of the four. While Thinking (T), Mentors make decisions based on logic and reason. The Introverted Thinking function enables them to categorize and analyze information that they receive. It is the ability to identify inconsistencies and know how things work as well the ability to solve problems. People with the ENFJ personality type may find satisfaction with the following careers which tend to match well with their Mentor personality. Here is a sampling of Famous People and Fictional Characters that may share the ENFJ personality type.